Lots of Minnesota attorney general candidates, but what's the AG do? 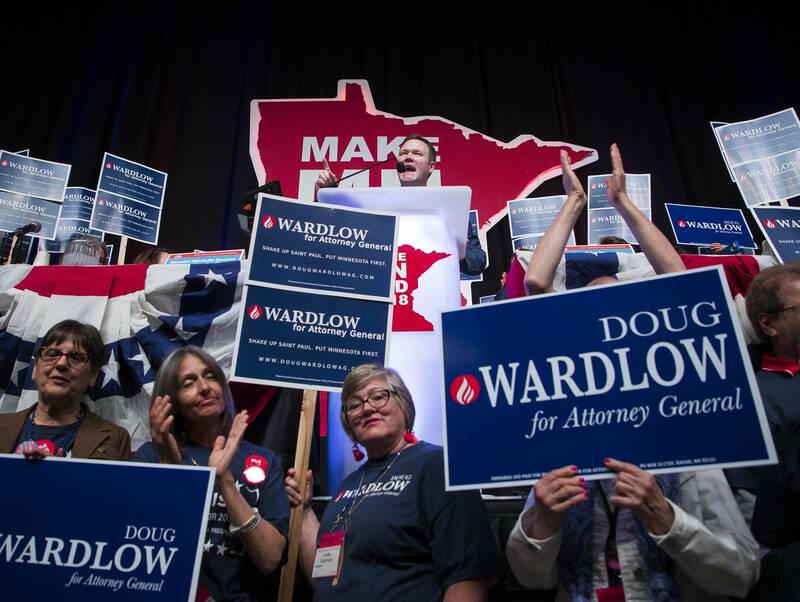 The suddenly-intense race for Minnesota attorney general has brought new attention to the work of the state's top lawyer and an office whose role could shift dramatically under a new leader. 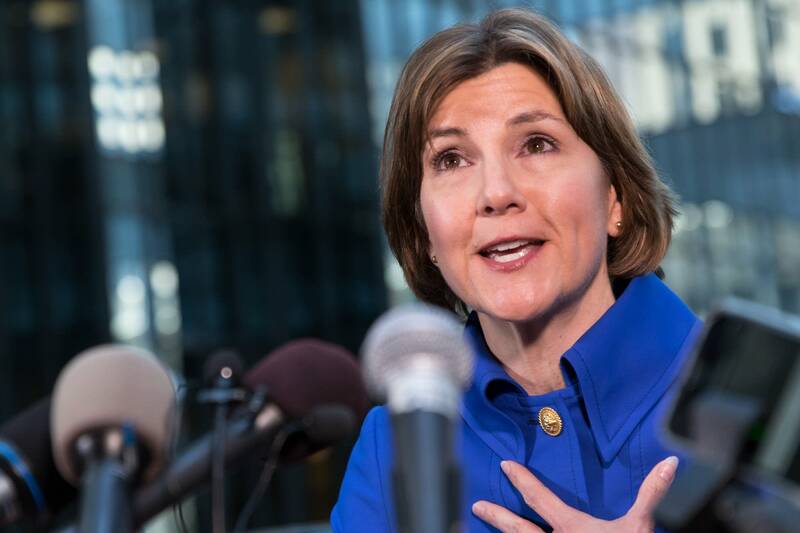 Lori Swanson, who's held the job since 2007, set off a scramble to replace her last week after announcing she would step down to run for governor. Five Democrats and three Republicans filed to take her place. While Swanson and her political mentor and predecessor Mike Hatch made consumer fraud a priority, the role of attorney general as spelled out in state laws and the Minnesota Constitution is fairly open-ended, giving wide latitude to the person elected to the job. "Attorneys general run to be the people's lawyer and those kind of slogans are good for the voters but they don't help people understand what the attorney general really does," said John Tunheim, the state's chief U.S. District judge who previously spent more than a decade working as solicitor general and deputy under former Attorney General Skip Humphrey. "It's hard because the office is so wide-ranging in its purpose." While consumer protection is a big part of the job — the most famous example is the landmark tobacco settlement in the 1990s that brought $6 billion into the state — Minnesota attorneys general have also pushed to change state laws and helped county prosecutors in high-profile murder trials. They've also stepped in to check federal government action, a role that's increased the profile of the office for both parties during the Obama and Trump administrations. Republican attorneys general sued to block implementation of the Affordable Care Act, for example, and Democratic attorneys general, including Swanson, have acted to block the federal travel ban and policies on net neutrality. They can also intervene when they feel the federal government has failed to protect the state's citizens, said Prentiss Cox, a professor at the University of Minnesota's law school who previously worked in Swanson's office. "The attorney general can step in and protect people in the state even when the federal government is running away 100 miles per hour." The state's founders expected the attorney general would serve more as in-house legal counsel, defending day-to-day government decisions against lawsuits and providing advice on everything from education policy and prison meals to accidents that happen on the state's roadways. It's not glamorous work, Tunheim said, but the attorney general's office managed bring in top attorneys with the promise that they would immediately get courtroom experience on a wide array of issues. "There are a lot of crises every day in state government," he said. Attorneys general are also political figures. They run under party labels and can use that platform to push for changes to state policy. Humphrey had several teams in his office working on policy initiatives, and his predecessor, Attorney General Warren Spannaus, famously ran and won on the issue of tougher restrictions on carrying and purchasing handguns. 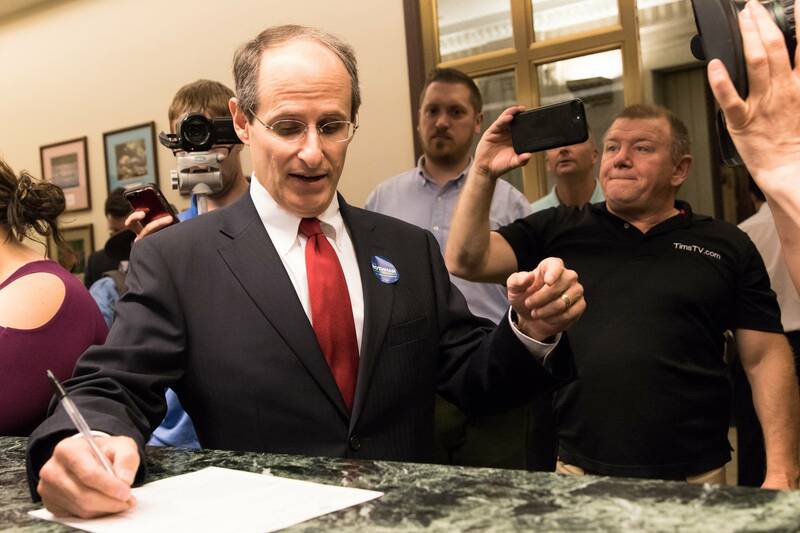 He pushed the Legislature to institute background checks. Minnesota's attorney general has been a Democrat since 1971. "You're sitting at the intersection of law, public policy and politics. To me that was absolutely fascinating," said Tunheim. "Politics shouldn't govern what you do but you have to understand that politics does play a role in shaping policy." In Minnesota, there's no requirement that an attorney general be an active lawyer in the state, although they usually are. 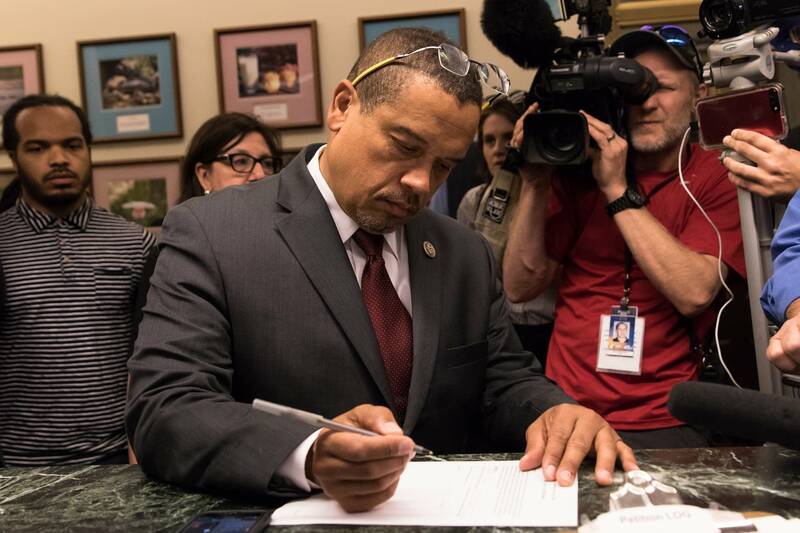 Attorney general candidate and current DFL U.S. Rep. Keith Ellison passed the bar in 1990 but his license is not active in Minnesota. Two of the candidates running on the Republican side have not passed the bar exam. Attorneys general can be current former legislators, judges or even members of the business community. Hatch criticized DFL-endorsed attorney general candidate Matt Pelikan at the party's state convention in early June for lack of experience in the courtroom, saying he'd never tried a case. Pelkian dismissed this criticism, citing his work in civil litigation. Most experts, though, don't see courtroom trial experience as a requirement to be effective as an attorney general. It all comes down to "good judgment" in what cases they take on and what policies they push, said James Tierney, who teaches a class on the role of attorneys general at Harvard University. "I've seen attorneys general get elected who are Rhodes Scholars who are just terrible, and some who have flunked the bar exam 10 times and they were fabulous because they had good judgment," he said. "Some of it has to do with personal background. How we make decisions can depend on where you came from in life." • Legal background: Practiced criminal defense and civil rights law and served as head of nonprofit Legal Aid, which provides representation for low-income residents. • Priorities as AG: Hiring good attorneys in the office, defend wage and environmental protection standards and push back on policies like Trump's travel ban in court. • Legal background: Practices civil litigation and works on consumer issues for companies. • Priorities as AG: Build up the state's antitrust practice and push for tougher gun control restrictions in the state. • Legal background: He spent years in private practice working on insurance regulation and other cases in Minnesota and California before becoming a state agency commissioner. • Priorities as AG: Continue working on insurance and other consumer protection issues and build up that practice in the office. • Legal background: Worked in the Anoka County attorney's office as a prosecutor. • Priorities as AG: Continue the consumer protection focus, including protecting seniors and vulnerable adults, while taking on the Trump administration in court. • Legal background: Former legislator but no legal background. • Priorities as AG: Protect the state's Legacy Funding, a dedicated sales tax passed by voters for arts, heritage and conservation projects. • Legal background: Worked on behalf of property owners in eminent-domain cases and American Steel in trade cases with China. • Priorities as AG: Building up the criminal practice and other areas of the office that have been underutilized. • Priorities as AG: Defend the state Constitution. • Legal background: Spent 16 years as Ramsey County Attorney and is a former commissioner of the National Indian Gaming Commission. • Priorities as AG: Use his experience managing a public law office to build up the reputation of the attorney general and be an "independent" leader for the state.